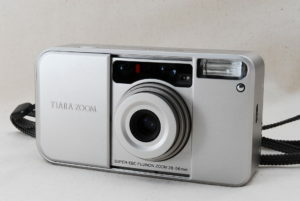 It is Fuji’s model called Capadia Tiara Zoom. It was released in 1996. There is a single focus camera of 28 mm F 3.5. It is because it can not get further closer to the subject. However, both lens coatings are high-end specifications called Super EBC. 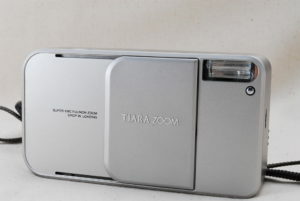 Tiara zoom has an exposure compensation function. Whether there is this exposure correction or not is a huge big advantage. And (relatively) bright single focal point, but there is no exposure compensation. 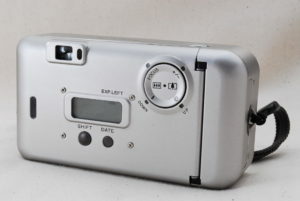 Although you can not get close to the dark lens or the zoom, you can correct the exposure. Therefore, both have advantages and disadvantages.